Arci Munoz appeared in public again with her fresh new look over the weekend. 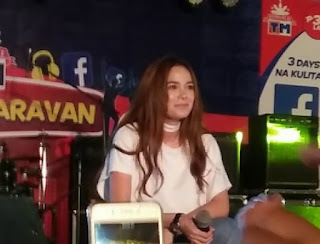 The actress put on a show at Pavvurulun 'Afi' festival in Tuguegarao City and willingly posed for photographs with fans. Last week, Arci became the talk of the town after people noticed the drastic change in her appearance at Accenture's Shout Manila event. The actress still hasn't said a word about her facial surgery yet.